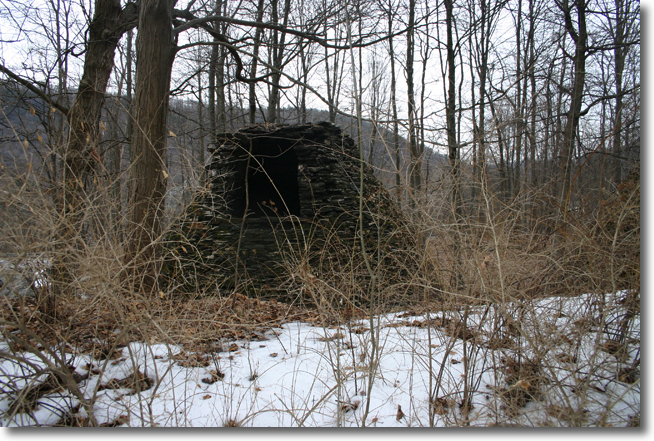 All through the Tri-State area, where New York, Massachusetts and Connecticut border each other, the forests were stripped of trees for charcoal needed to production of iron. This area was the home of many of the military ironworks for the Revolution, the Civil War, etc. 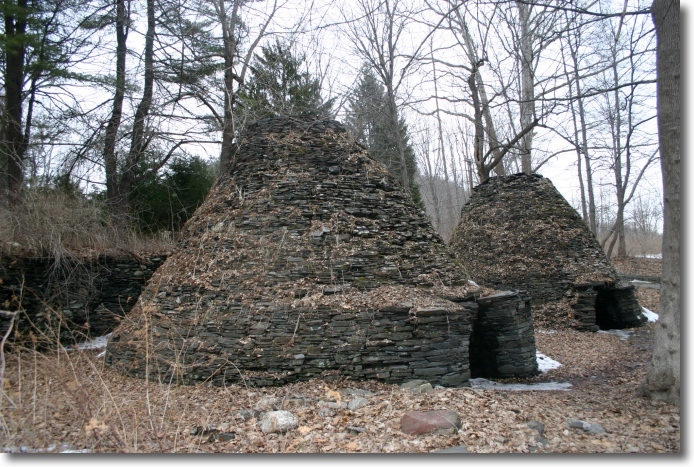 Quite a few iron furnaces have been reconstructed, but of the charcoal kilns these are the only ones I know of, reconstructed and left in nature in the hopes that they will be respected. 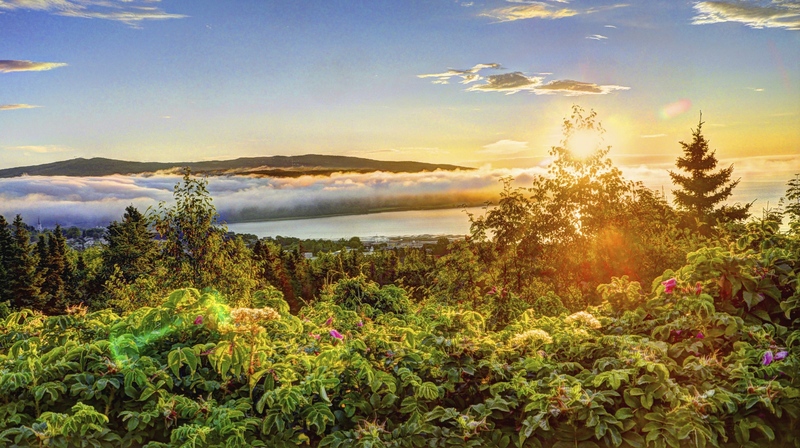 In fact, I have mixed feelings about putting them up on the Internet and, as you might have noticed, I have been cagey about where they are located. This how they are sited, only a few feet separating them. I have no idea how many there were in this particular spot. 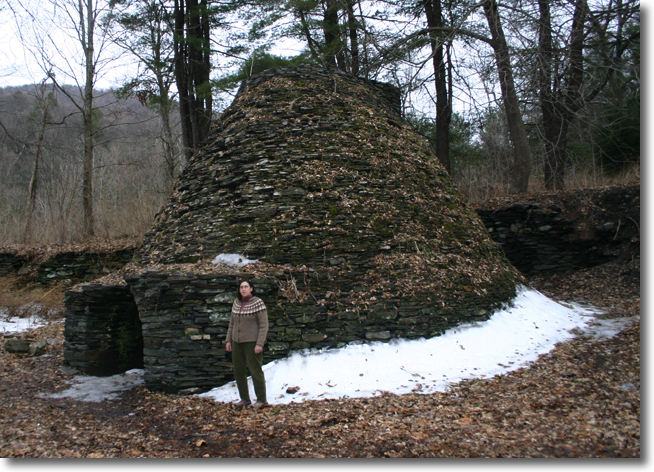 Showing the scale and also the retaining wall behind the kilns. 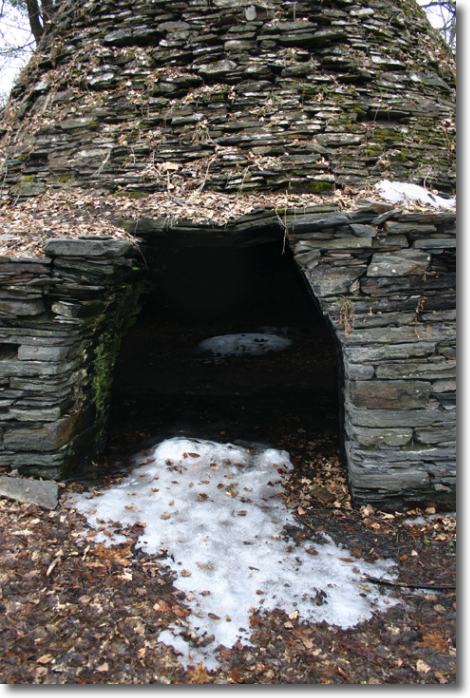 They were built into an incline so that fresh wood could be loaded into the top from wagons. From the rear, showing where the wood was loaded on the hill. Here is the detail for the lower entrance. 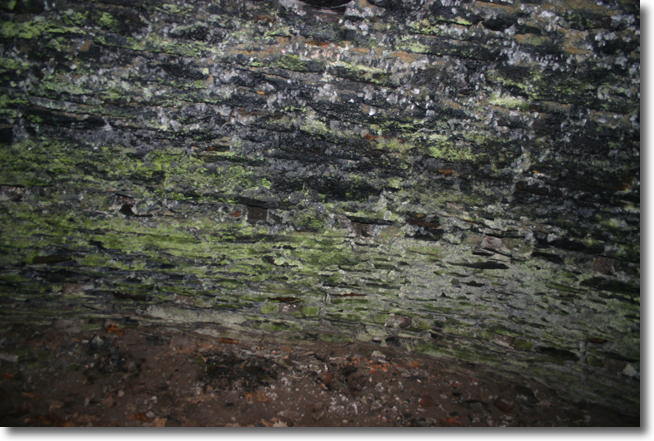 I wonder if the more even, rectangular rock is phyllite, found in this area and used since colonial days for fireplace hearths because it was thought to hold up very well to fire. 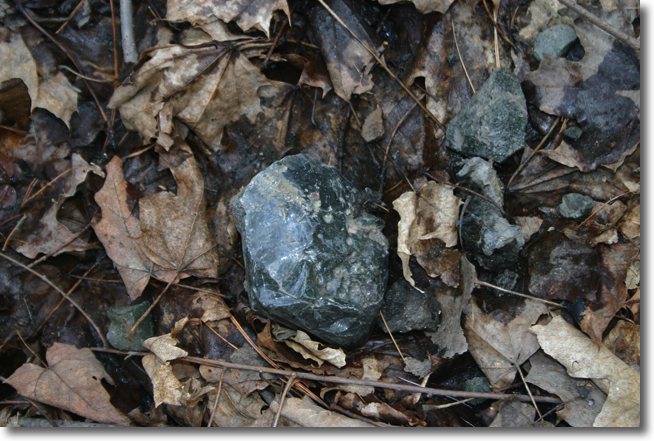 It would make sense and phyllite does resemble this rock, but I am not a geologist! 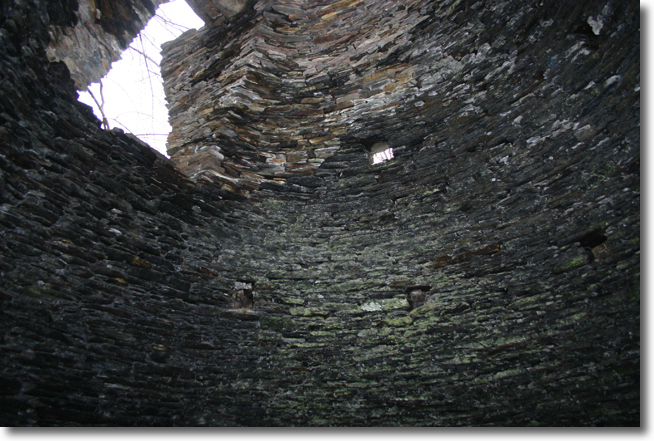 Inside, showing the loading area and, above it, a circular vent. I assume that the vent was closed off once the fires got working. Other vent holes can be seen part way up. 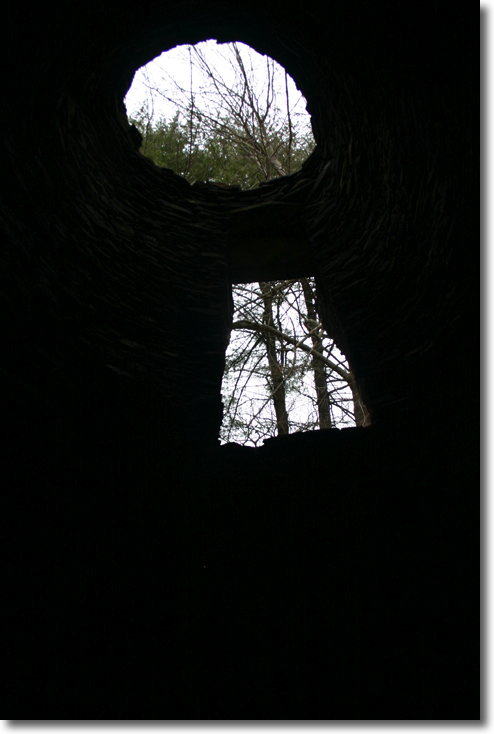 About one meter from the ground are some regularly-spaced rectangular holes that might have supported some iron beams to hold the biomass above the fires. Around the kilns are these chunks of glass from the ash.